The room has seating for 30 people in theatre style. We have an overhead projector and large pull down screen. There are folding tables available for use 8x4ft and 5x5ft, Flip chart, free standing easel, moveable dry white board and pens. Kitchen facilities are available and tea, coffee and hot chocolate is supplied but you will have to provide your own milk. No cooking is allowed on the premises. Food brought into the building must be prepared elsewhere. We are few miles from Northampton Town Centre. Access links from M1, A43 and A508. Guiding members can hire for free. 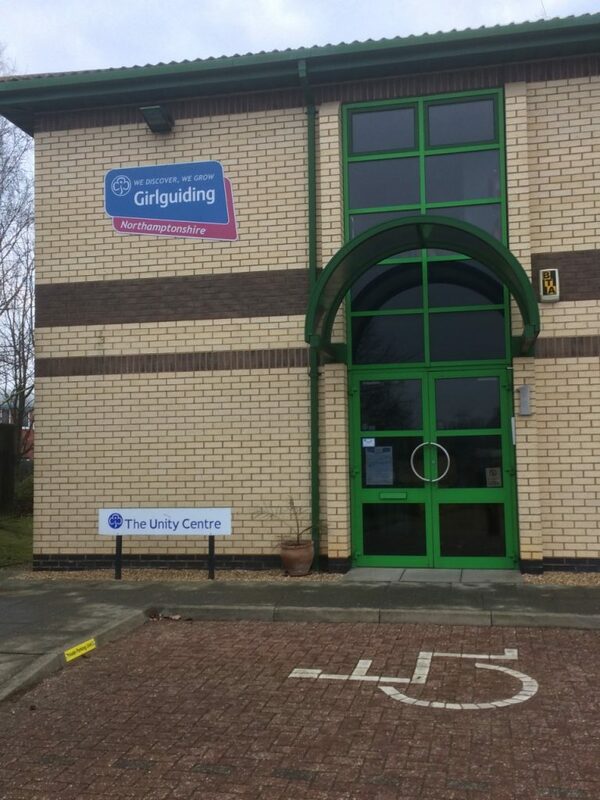 Outside of Guiding there is a charge of £15.00 per hour. We have dedicated parking available for 7 vehicles which includes one disabled space near to our front entrance. There is a disabled toilet downstairs and another WC upstairs. Use the calendar to check if your dates are available before submitting a booking enquiry. We will email confirmation of the booking.